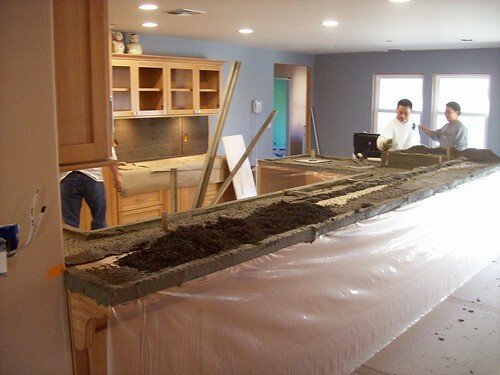 ← Kitchen faucet’s outta here! There were a couple of problems with the cabinets, one of which I’ll have to fix: The peninsula outlets were centered on the backsplash *frame*, so the bottom of the outlet box barely cleared the tile ([picture](http://www.flickr.com/photos/sonicchicken/2097121874/in/set-72157603407916488/)) once the mortar bed and tile were laid down. 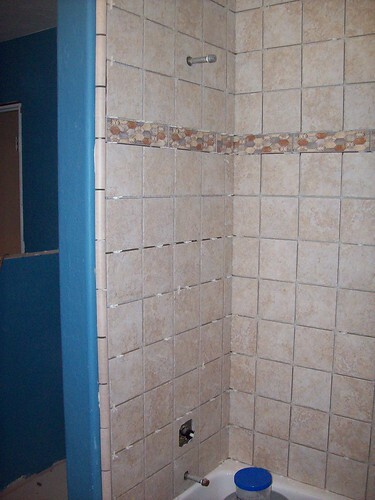 At the end of day #1, the shower/bath surround is all tiled, including the quarter-round trim. 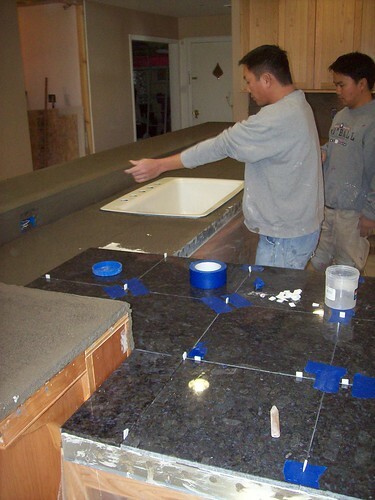 The granite countertops are all laid, although the bar top has yet to be done. 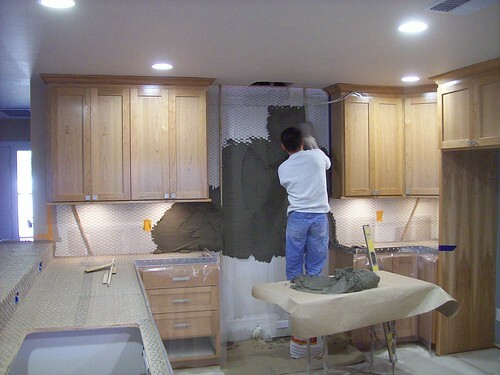 The backsplash over the baking center is tiled, except for the quarter-round trim (which won’t arrive until mid-week). The Hardiebacker has been “glued” to the floor in the bathroom, laundry/utility room, hallway, and part of the nook and entry. Rick and his guys will be back tomorrow. It’ll be interesting to see how far they can get, since they don’t have to spend a lot of time setting up tomorrow. 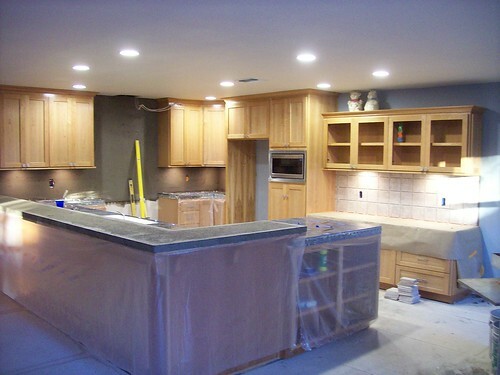 This entry was posted in Our home remodeling project, Uncategorized and tagged cabinetry, tile. Bookmark the permalink.